As an ancient Chinese poem goes, “ A lonely stranger in a strange land I am cast, I miss my family all the more on every festive day”. This is the first time I am running a free giveaway raffle! The winner will receive a copy of “Chinese Feasts & Festivals” (worth of $13.03 on Amazon, link), thanks to Tuttle Publishing:) Below are some of my thoughts after reading this book and how you will enter the raffle. 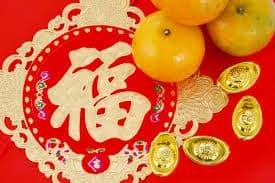 Chinese New Year is one of those occasions that I wish I could be surrounded by my family. However, I am so far away from them now. Life has taught me to be a stronger and more independent person, but there is something I’ve always struggled with, which is to maintain a close and healthy family relationship. I want to take this opportunity to express my gratitude and think back on the good times I had spent with them. This post also serves as a book review for “Chinese Feasts & Festivals”, a fantastic book that truly embeds a love and respect of Chinese traditional culture! As I read through this book, especially in the chapter introducing Chinese New Year, in my mind appeared the scenes that everyone sat in a dinner table on New Year’s Eve and watched the Spring Festival Party on TV. This is the most important moment in a year! As the book said, “ By New Year’s Eve, the cupboard is filled to overflowing.” The food will never run out of supplies— poultry, dried meats, ducks, fish and varieties of sweets. Fish has a special meaning since its Chinese pronunciation (“yu”) is the same as the word meaning “surplus”. We have fish on New Year Eve’s dinner table in the hope of accumulating surplus for the coming year. We also decorate the front doors with poetic couplets of calligraphy, expressing the blessings for the New Year and the return of spring. Firecrackers are almost everywhere, especially on New Year’s Eve, the eighth day and the fifteenth day. Chinese people love the number eight (“ba”), because it has a similar pronunciation with fortune (“fa”). So most business reopen on the eighth day and people go back to work. The fifteenth day is the lantern festival, which is another important family reunion occasion. People get together to eat rice dumplings (“yuanxiao”) and watch lanterns. In the daytime, there are varieties of activities, such as dragon lantern dance, lion dance, drum beating, etc. Most families spare some fireworks from the Spring Festival and let them off in the Lantern Festival. “Chinese Feasts & Festivals” is also a great cookbook which introduces authentic Chinese food, not commonly found elsewhere, even those so-called Chinese restaurants in the United States. To keep up with the New Year spirit, I want to give away a copy of “Chinese Feasts & Festival” to one reader of Yzenith Food blog, courtesy of Tuttle Publishing. One lucky Yzenith Food blog reader will win a copy of “Chinese Feasts & Festival”. To enter, simply leave a comment on this post and subscribe to receive our latest updates. Deadline to enter is March 31, 2015 by mid-night EST. Winner will be selected through Random.org and announce shortly after the giveaway is closed. 1) Like” Yzenith Authentic Chinese Recipes” Facebook Page, click here. 3) Pin a picture from this post onto Pinterest. Disclaimer: I received a copy of “Chinese Feasts & Festivals” for the purpose of this review and I was not compensated in any way to write this post. All comments and opinions are 100% my own. As per below, we generated the number from Random.org. Here is how it looked like.